The professional tradesmen & women at Avonlea Kitchen & Bathroom Concepts are the go-to experts when it comes to your long desired Bathroom upgrade or complete Bathroom renovation. If your bathroom is in need of repairs or simple upgrades or if you desire a new look or total overhaul, the pros at Avonlea Kitchen & Bathroom Concepts are available to offer first-rate service in design and implementation of anything you can imagine. For modern construction or existing older homes, the expertise of the Avonlea Kitchen & Bathroom Concepts craftsmen & women are fully capable of bringing your idea to fruition, or perhaps even offering new a direction in design that you may not have thought of. It’s the mark of a true pro and the competitive nature of home renovations demands top-level skill and talent. Bathroom renovation can be complex. Several trade professionals may be necessary to complete, upgrade or modernize the advanced plumbing that exists today. 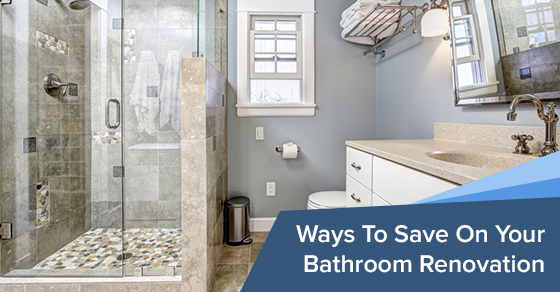 Likewise, lighting design and up to code electric wiring and fixtures are an integral part of bathroom upgrades and particularly so if a complete bathroom renovation is desired. Professional electricians are there to provide top-level service. The level of professionalism at Avonlea Kitchen & Bathroom Concepts is world class and nothing is beyond their capable skills and abilities. Most home renovations, beyond simple, ‘do-it-yourself’ projects, require this high level of skill. Building codes must be adhered to and permits must be pulled, but this is second nature to the Avonlea Kitchen & Bathroom Concepts team. Their primary goal is providing the dream you always had for your bathroom upgrade project, and they know how to get it done. The Avonlea Kitchen & Bathroom Concepts team will work with you to produce the right results for your design and help stay within any budget. Providing solutions for every detail of your dream bathroom renovation is the crux of the Avonlea Kitchen & Bathroom Concepts business model. The design possibilities available today are extensive and very advanced. However, in the beautiful older homes of the greater Toronto area and surrounding communities, special attention to detail and the keen skills of the master craftsman are critical to preserving the integrity of these wonderful homes, which have stood the test of time. They are works of art and points of pride for the owners and special care is always practiced by the highly experienced artisans of Avonlea Kitchen & Bathroom Concepts. So, as you can see, the choice is clear and contacting Avonlea Kitchen & Bathroom Concepts will make you happy. There are also many testimonials which Avonlea Kitchen & Bathroom Concepts is proud of too. Feel free to browse those and read for yourself how you too can experience the magic of home renovation. Contact Avonlea Kitchen & Bathroom Concepts today and share your dreams with those who can provide them. A simple phone call can make all the difference. Call Avonlea Kitchen & Bathroom Concepts Renovations today at (416) 907-4764 or contact us here.